Economic justice requires racial and social justice, and DFA is committed to making it a central part of our work. We know that Black Lives Matter, and we will continue to partner with organizations working to end police brutality. DFA expects all candidates we endorse to stand up to, name, and address systemic racism as fundamental and foundational to the movement to end income inequality. We believe that protecting a woman’s right to choose and expanding access to those choices, including abortion, is core to the fight for progressive change. DFA supports comprehensive immigration reform and opposes efforts to criminalize and deport undocumented immigrants. Republicans are hoping that the threat of a holiday season shutdown will be enough to convince moderate Democrats to cave on border wall funding. And Trump has even floated the idea of sweetening the deal by offering some sort of protection for Dreamers in exchange. The Trump administration's treatment of immigrants and refugees at the border has been morally reprehensible. Democrats must not be complicit in it by providing any sort of funding that would enable it to continue. Period, full stop. No matter what kind of deal Trump tries to make or what kinds of threats he poses, our message to Trump and the Senate must be loud and clear: No wall. No more detention beds. No more border agents. 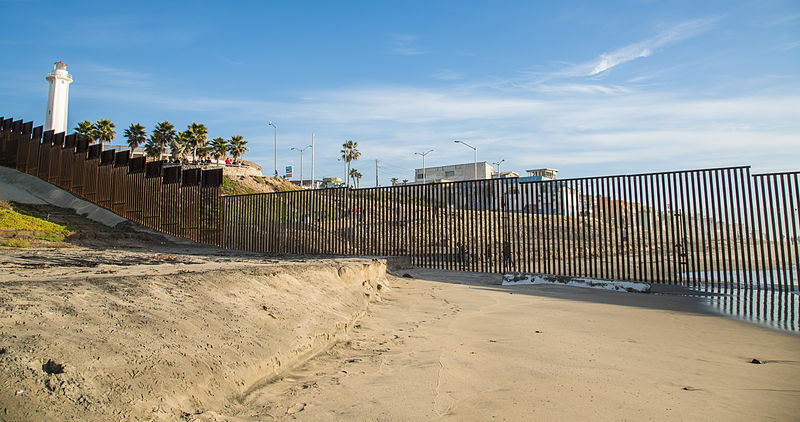 If you’re with us, add your name now to urge the U.S. Senate to do the right thing and refuse to support funding for Trump’s border wall this December. Take away partisan state legislatures’ ability to gerrymander, and give redistricting power to independent commissions. To pass this bill would be a MAJOR achievement in strengthening every American’s right to vote and ensuring fair elections. In my home state, we were successful in expanding voting rights through a ballot initiative this past month. But in state after state, voting rights are in desperate need of protecting. It’s time that we give democratic power back to the people. 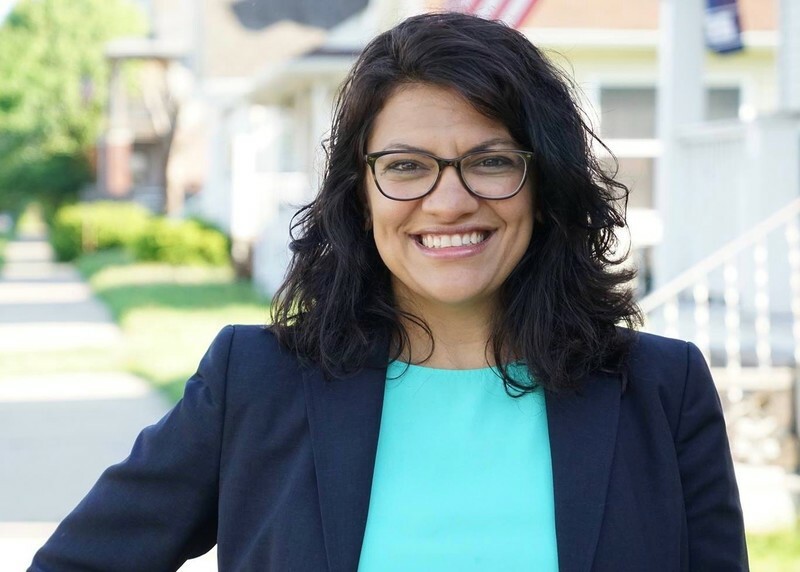 Join Rashida Tlaib and Democracy for America in becoming a co-signer of the "Strengthen Democracy" bill today. Donald Trump FIRED Attorney General Jeff Sessions -- and there's reason to believe that the new acting AG, Matt Whitaker, will try to interfere with the Mueller investigation. Whitaker opposed the appointment of a special counsel to investigate Trump from the beginning. At the time, he wrote in The Hill that "hollow calls for independent prosecutors are just craven attempts to score cheap political points and serve the public in no measurable way." 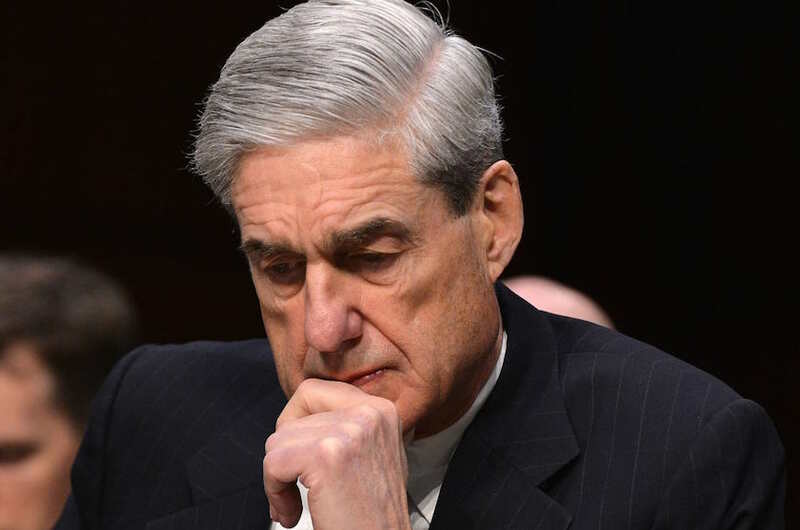 Since then, he has consistently and harshly criticized the way Mueller has handled the investigation, accusing him of crossing "red lines" in terms of the scope of the investigation and recently penning an op-ed for CNN entitled "Mueller's investigation of Trump is going too far." In the past, Whitaker has suggested ways for the administration to sabotage the investigation, including slashing Mueller's operating budget and undermining his investigative authority. It couldn't be more clear: Matt Whitaker has absolutely zero business overseeing this crucial investigation into the Trump administration. And if he is allowed to take on that role, there is a very real chance that he will destroy the investigation and set up a constitutional crisis. We can't sit back and let a partisan Trump crony take over the Mueller investigation. Sign our petition and tell Matt Whitaker to recuse himself from the Trump/Russia investigation, effective immediately. The whole world is witnessing the outrageous and cruel impact of Donald Trump's new "zero tolerance" immigration policy. This horrifying family separation policy is opposed by 67% of Americans, according to a new CNN poll -- and it could be revoked by Trump and Secretary Nielsen at literally any time. But instead of doing the morally right thing by choosing to end the routine separation of immigrant families, this morning Secretary Nielsen tripled down on the policy. She refused to apologize for the harm she's causing to immigrant children and families, claiming that "illegal actions have and must have consequences." That is an unacceptable answer -- and it proves that Nielsen is unfit to hold her current office. Sign our petition calling on Secretary Nielsen to resign from the Department of Homeland Security immediately. Fox News host Laura Ingraham has reached a new low -- and that’s saying a LOT. Ingraham taunted David Hogg -- the Parkland survivor, March for Our Lives organizer, and high school student journalist -- for being rejected by some of the colleges he applied to previously. Rather than stooping to the level of Ingraham’s personal attack, David brilliantly used Twitter to organize a rapid response boycott of the corporate sponsors who have stood by Ingraham’s side while she flings mud, spreads hate, and defends the NRA. In less than 24 hours, seven companies pulled their ads from Ingraham’s show, including TripAdvisor, Wayfair, Hulu, Nutrish, Johnson & Johnson, Nestle and Stitch Fix. Of course, right on cue, Laura Ingraham offered up a tepid apology only after the boycott started to gain traction. And late on Friday, she even announced that she would be taking a conveniently-timed weeklong "vacation" from her show. It’s not enough. Laura Ingraham’s show should be cancelled -- and David Hogg’s inspiring boycott could be the difference. Will you help him keep the momentum going? 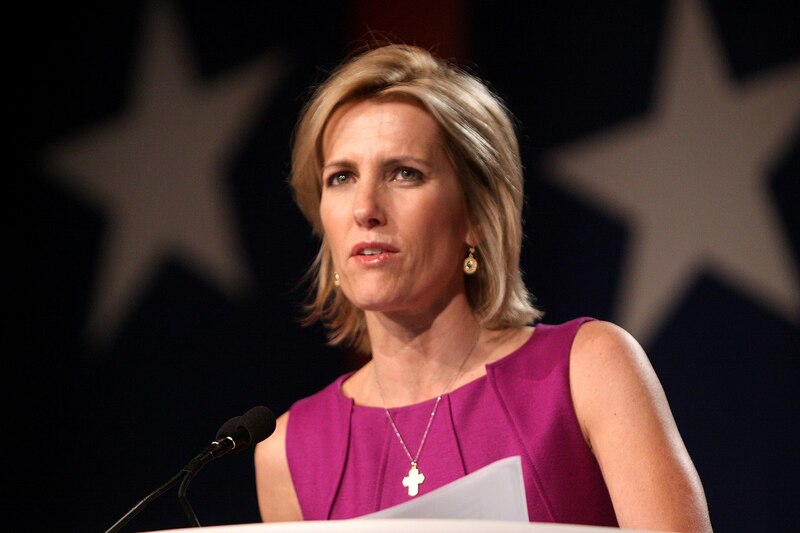 Sign our petition now and tell corporate advertisers to boycott Laura Ingraham’s show -- which could cause Fox News to cancel it. Democracy for America has a long history of taking on the NRA. In 2017, we endorsed a full slate of progressive candidates running for seats in the Virginia House of Delegates who vowed to fight back against the NRA's grip on their state politics. On election night, 14 out of 16 DFA-endorsed candidates -- including progressive fighters like Jennifer Carroll Foy, Donte Tanner, Chris Hurst, Jennifer Boysko, and Hala Ayala -- defeated NRA-backed candidates, giving Democrats more power than they've had in the chamber in years. Now, DFA members are working to unseat the gun lobby's biggest allies in Congress in 2018, and we need your help. Progressive champions like Randy Bryce are doing everything they can to defeat Paul Ryan and other Republicans who side with the NRA. But it is going to take some serious grassroots momentum to overcome all of the corporate and gun lobby money that is pouring in for the GOP. We can't sit back and accept what happened yesterday as the new normal. We need to stand up to the NRA right now. Can you commit to volunteer to help DFA-backed progressive candidates take down NRA-backed Republicans this November? Six Democratic members of Congress -- Earl Blumenauer, Pramila Jayapal, Barbara Lee, John Lewis, Maxine Waters, and Frederica Wilson -- have announced they will boycott Trump's State of the Union address. Democracy for America and our friends at CREDO Action believe every other Democrat in the U.S. House and the U.S. Senate should join the boycott. Will you stand with us? Puerto Rico needs our help right now, but we cannot stop there. The United States has spent decades neglecting its obligation to the American citizens living in Puerto Rico -- resulting in the exponentially catastrophic impact of Hurricane Maria. Residents of Puerto Rico are American citizens. Yet, our President and our government refuse to treat them as such. In the aftermath of Hurricanes Irma and Harvey, the Department of Homeland Security immediately lifted the restrictions imposed by the Jones Act regulations, but failed to do so in Puerto Rico for more than a week -- causing huge delays in food, water, and other necessary supplies from reaching the island. But the disaster isn't just from a hurricane. Last year, Congress took away Puerto Rico's control over its own spending, and handed it to a "control board" made up of Wall Street cronies. Our government weakened Puerto Rico in order to keep Wall Street creditors happy. Now is the time for all of us to demand that our government act to repay a centuries-old debt to the residents of Puerto Rico. Sign the petition: Demand Congress pass a disaster relief package that relieves Puerto Rico of their debt obligations and provides for lasting recovery and prosperity. How is Congress responding to last night's terror attack in Las Vegas? By getting ready to pass a bill to make it easier to buy silencers -- a top priority for the NRA. Republican elected officials offer their thoughts and prayers. They lower flags to half-staff. But they will never act to stop gun violence and mass shootings, because they're in league with the NRA. The NRA is unrepentant. They and their allies in Congress don't think there's anything wrong with what happened in Las Vegas last night. In fact, they are doubling down in support of laws that enable white men like Stephen Paddock to use guns to terrorize their families and communities. Congress has caved to the NRA after every mass shooting this decade, from Sandy Hook to San Bernardino, from Umpqua Community College in Oregon to the Pulse nightclub in Orlando, and so many more. They will keep doing so until we defeat them at the ballot box. DFA members are mobilizing to defeat the NRA and elect candidates who will confront gun violence with legislation and funding for gun safety and enforcement. This includes crucial elections in Virginia next month, where the NRA is spending big to defeat our candidates. Can you help? Will you pledge to volunteer to help DFA defeat NRA-backed candidates across the country in 2017 and 2018 -- and replace them with leaders who will stand up to the NRA and fight gun violence? The time is now to address one of the great crises our nation faces. It is not acceptable that 28 million Americans have no health insurance and that even more are under-insured with high co-payments and deductibles. The time is now for a Medicare-for-All, single-payer system. Health care must be a right, not a privilege. Please add your name as a citizen co-sponsor of my Medicare-for-all, single-payer health care bill. Charlottesville was about maintaining a false sense of white supremacy that this country was built on. It’s why in 2017 we still have more than 1,500 Confederate monuments still standing, in states all across the country. We cannot allow these disgusting symbols of bigotry and hate to continue to stand. That’s why Democracy for America is joining Color of Change and CREDO Action to demand that all Confederate symbols be removed. Sign our petition today demanding that all statues and symbols glorifying the racist Confederacy be taken down immediately. Betsy DeVos is working hard to destroy our public schools -- and now we need to stop DeVos and her aides from destroying key civil rights protections students need. DeVos is taking aim at the Department of Education's vital Office of Civil Rights, which enforces numerous protections against discrimination in schools. They've even suggested gutting enforcement of Title IX, a critical protection of women's rights in college. That's the background to the horrific comment made by Candice Jackson, who DeVos put in charge of the Office of Civil Rights. Jackson mocked victims of sexual assault on campus, claiming that "90 percent" of such claims "fall into the category of 'we were both drunk,' 'we broke up, and six months later I found myself under a Title IX investigation because she just decided that our last sleeping together was not quite right.'" DeVos herself agrees. After meeting with groups of men who have been working to roll back federal investigations of sexual assault, DeVos actually took the side of men accused of these crimes and said their stories needed to be told too. These are extremely offensive comments coming from anybody. But Jackson is also in charge of federal Title IX investigations of sexual assault on campus. Even though Jackson apologized under pressure, these comments make it clear she's unfit to continue in her job. Democratic Senator Patty Murray agrees. She's calling on Jackson to resign, saying that these comments "should disqualify her from service in the position of top Department of Education protector of students' right to be safe at school." DFA stands with Sen. Murray. So do our friends at CREDO Action. Will you help? Sign the petition: Tell Betsy DeVos that Candice Jackson must go -- and the Department of Education must commit to continuing and expanding existing civil rights protections. Americans of all political affiliations are disgusted with Senate Republicans' efforts to force a vote on their Trumpcare bill. The lack of transparency is an abuse of power, and insulting to the 24 million Americans whose health care is threatened by the Trumpcare bill. Senate Republicans hope to pass the bill as soon as possible. DFA members know this is extremely urgent. That's why we're asking you to join other DFA members and commit to spending the next 10 Days to Defeat Trumpcare. 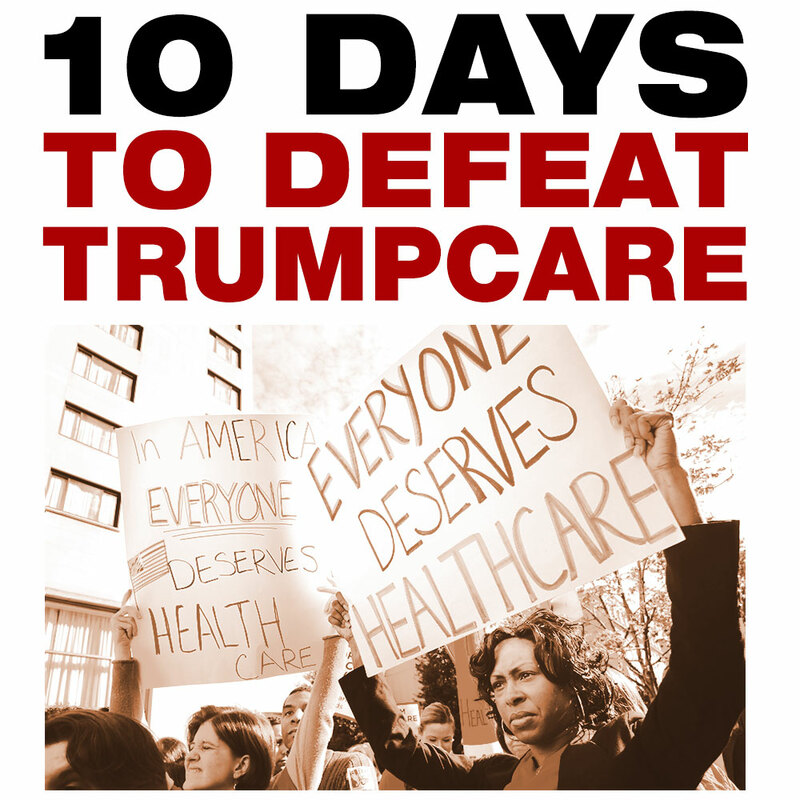 Here's how 10 Days to Defeat Trumpcare works. A DFA staffer will send you an action to take -- such as contacting Senators, and organizing your friends and family to participate to defeat Trumpcare. Together we will demand that Republican Senators listen to their constituents and refuse to vote for Trumpcare. We will also encourage Democratic Senators to resist by delaying the votes as much as possible. Congress must impeach Donald Trump. This shouldn't be a hard ask. There are numerous reasons why Trump should be removed from office. From his unconstitutional and un-American Muslim ban to his numerous business conflicts of interest that are generating personal profit for his family at taxpayer expense, Trump has proven over and over that he's unfit for office. In a repeat of Richard Nixon's most notorious actions during the Watergate scandal, Trump fired FBI Director James Comey. Why did he fire Comey? Trump says it's because Comey held a press conference last summer exonerating Hillary Clinton for her emails. Others speculate it's because Comey is investigating the Trump campaign's ties to Russia. "They will put in a stooge who will shut down this investigation," said Jeffrey Toobin on CNN just now. Let's be clear, General Flynn had to step down because he lied about meeting with Russia. Jeff Sessions lied to the Senate about meeting with Russia. And there have been reports that the FBI warned Trump that Russia may have compromising information on him that they could use for blackmail. And that's only what we know so far. The FBI investigation into Trump and his campaign's possible collusion with Russian agents attempting to impact the Presidential election is critical to defending our democracy. We have no love lost for Comey, but Trump firing him in order to shut down the Russia investigation is yet another in a long line of impeachable offenses. This has to stop. Congress must act -- NOW. Less than 1% of the prosecutors in America are Black women. Last year, DFA members helped elect Aramis Ayala -- a powerhouse who ran on progressive values to become the first Black State's Attorney ever elected in Florida history, and the first woman to serve as a State Attorney in Orange and Osceola counties. As a result, Republicans are launching a new attack against her. Florida's Republican Governor, Rick Scott, is attempting to remove her and replace her with a white prosecutor on that case. Gov. Scott is punishing Ayala for her leadership and disrespecting the will of the voters in the process. We have to stop him. Will you join DFA and Color of Change to tell Florida Governor Scott: Reverse your decision and let Aramis Ayala do her job. The Washington Post broke the news that Attorney General Jeff Sessions lied under oath about his contacts with Russia while he was advising the Trump campaign. This is completely unacceptable behavior for our country's top law enforcement officer, and it totally undermines the Justice Department's ability to neutrally and fairly investigate Russia's scandalous interference in our presidential election. Leading Democrats, including Sen. Elizabeth Warren, Sen. Chuck Schumer and Sen. Bernie Sanders, are calling for Sessions's IMMEDIATE resignation and the appointment of an independent special prosecutor to investigate Trump's ties to Russia. It is crucial that we help them build momentum right now -- and ramp up the pressure on Republicans in Congress who are still trying to cover for Trump. "This is not normal. This is not fake news. This is a very real & serious threat to the national security of the United States. We need a special prosecutor totally independent of the AG. We need a real, bipartisan, transparent Congressional investigation into Russia. And we need Attorney General Jeff Sessions -- who should have never been confirmed in the first place -- to resign. We need it now." Warren is 100% correct -- but many members of the Republican leadership are still trying desperately to get Sessions and Trump off the hook. Just this morning, House Majority Leader Paul Ryan said that he "doesn't see any purpose or reason" for Sessions to step down. We need to turn up the heat on these crooked Republicans in Congress immediately, and make it crystal clear that there will be electoral consequences for anyone in Congress who puts protecting the corrupt Trump administration ahead of the demands of their country and their constituents. Sign DFA's petition telling Congress to demand that Attorney General Jeff Sessions step down right away -- and that Congress must appoint a special prosecutor to find out the truth about Trump's connections to Russia. He did it again. Joe Manchin, Democratic Senator from West Virginia, once more voted to confirm one of Donald Trump's Cabinet nominees. This time it was Scott Pruitt, the oil and gas shill Trump picked to destroy the Environmental Protection Agency. Joe Manchin has voted for 11 out the 14 Cabinet nominees the Senate has decided on -- that's worse than any other Senate Democrat. Manchin even voted for the white supremacist Jeff Sessions. And he remained silent when Trump launched a racist attack on Elizabeth Warren. We cannot allow any Senate Democrat to undermine the resistance or enable Trump like this. There need to be some consequences. Joe Manchin is a member of the Senate Democratic leadership. Democracy for America is joining CREDO Action, #AllofUs, Other98, and 350 Action to tell Chuck Schumer that Manchin shouldn't serve in Senate leadership any more. Sign the petition and tell Chuck Schumer: Drop Sen. Manchin from your leadership team. And when acting Attorney General of the United States Sally Yates stood up and told her department not to defend this unconstitutional order, Donald Trump fired her on the spot -- sparking comparisons to Richard Nixon's "Saturday Night Massacre." Every hour, it is becoming more and more clear: A constitutional crisis is unfolding before us. Democrats in the Senate must do everything humanly possible to reverse this inhumane and possibly illegal executive order and to punish the undemocratic actions the administration is taking to enforce it. Senate Minority Leader Chuck Schumer and the rest of the Democrats need to shut this Congress down, refusing to take any action whatsoever -- including approving any of Trump's nominees -- until the Muslim ban is revoked. Sign our petition now and tell Sen. Chuck Schumer and the Senate Democrats to SHUT IT DOWN and withhold consent on everything, including Trump's nominees, until the racist Muslim ban is revoked. Donald Trump announced his pick for the U.S. Supreme Court live on TV. Sen. Jeff Merkley (D-Ore.) said in an interview on Monday morning that he will filibuster any pick that is not Merrick Garland and that the vast majority of his caucus will oppose Trump's nomination. That means Trump's nominee will need 60 votes to be confirmed by the Senate. This is good news. But it's not good enough for the "vast majority" of Senate Democrats to oppose. We need all 48 Senate Democrats to commit to doing whatever it takes to stop Trump's Supreme Court nominee. And we need to tell them that right now. This is urgent: Sign the petition and tell all 48 Senate Democrats they MUST oppose Trump's Supreme Court nominee, including using the filibuster if necessary. Our rights and freedoms depend on it. At this point, it's clear: The Trump administration sees press briefings as nothing more than opportunities to inject their distortions and misinformation directly into the ears and minds of the public. Yet the networks keep enabling Trump and Spicer by airing these briefings live, before reporters have had the chance to sort fact from fiction. Journalists have a responsibility to give the public the facts -- and that means not airing the Trump administration's lies before they can correct them. Will you sign our petition demanding that the networks stop airing Trump press briefings live right now? Donald Trump is not normal -- and we should not treat his impending presidency as if it is. He just went and proved that again when he launched a bigoted attack this weekend against Civil Rights leader and American hero Congressman John Lewis. John Lewis has spent his life protesting for justice and racial equality. He was beaten on the Edmund Pettus Bridge in Selma, Alabama in 1965 in a march for voting rights. It was in that tradition that Rep. Lewis announced late last week he will join more than a dozen other Congressional Democrats in not attending Trump's inauguration this coming Friday. It was no surprise, sadly, that Trump responded with a Twitter rant viciously attacking John Lewis and the Georgia district he represents. Trump showed he has no respect for civil rights, for a Black leader who has worked so hard for justice, or for an American community. As a result, another dozen Democratic members of Congress have announced they too will not attend Trump's inauguration. That's a good start. But why should any elected Democrat attend this inauguration and help normalize what is already shaping up to be the worst presidency in history? Democracy for America is joining CREDO Action to urge every single Democrat in Congress to not attend Trump's inauguration on Friday, January 20. Will you join us and send a message? Sign the petition and tell Congressional Democrats: Stand with John Lewis -- don't go to Trump's inauguration. If we're going to stop Donald Trump, we have to organize in local cities and communities -- not just in Congress or state legislatures. Right now, DFA-endorsed City Councilmember Regina Romero is showing what that local leadership looks like in Tucson. Trump has promised to forcefully go after and deport at least 3 million undocumented immigrants. We need to take that threat very seriously. Trump backed up his statement by having Kris Kobach, the architect of the anti-immigrant SB1070, named to his transition team. When Trump acts on his plans, over a quarter-million "Dreamers" (students who came to the U.S. as young children) will be targeted and at risk of being torn from their families and homes. Tucson has been fighting back. In 2012, the Tucson City Council stepped up and voted 6-1 to declare Tucson an Immigrant Welcoming City. Right now the City Council and Mayor can take that leadership again. But they must do more than just thank and welcome immigrants. Councilmember Regina Romero proposed a policy to ensure the Tucson Police Department will never engage in collaboration of any kind that would endanger any person in Tucson, regardless of status or national origin. She needs our help pressuring the Mayor and Tucson City Council members to fight Trump -- and defend all Tucson residents. Tell Tucson City Council members and the Mayor to join Councilwoman Regina Romero and commit to passing a non-collaboration policy that will protect all people in Tucson. Republican Michigan Attorney General Bill Schuette just filed a court action asking the State Supreme Court to preemptively shut down any attempt at a presidential election recount. This kind of partisan interference in what should be a neutral and routine verification of the election results is absolutely unacceptable -- and it is dangerous to our democracy. The margin of victory in Michigan was only 10,000 votes. With a race this close, a recount is necessary in order to give voters confidence in the stated result. We need to let Schuette know RIGHT NOW that we will not let his attempt to derail this perfectly legal recount stand. Tell Michigan Attorney General Bill Schuette to stop playing games with our democratic process and allow a full and fair presidential recount in Michigan now. The police crackdown on protestors against the Dakota Access Pipeline is getting worse, thanks to an official order of evacuation from Republican Governor Jack Dalrymple. While brave water protectors and their allies are standing their ground in sub-freezing temperatures, the Morton County Sheriff's Department is now saying it will order its troopers to pull over and threaten people carrying much-needed supplies to the Standing Rock camp with $1,000 fines. And the governor's order effectively ended emergency services to the camps, even though violent attacks by the police continue. President Obama's silence on this horrendous violation of the human rights of the Standing Rock Sioux and their supporters is simply unacceptable. He needs to put an end to these dangerous police attacks right now by stepping in and shutting down the pipeline. Call President Obama today and tell him to step in and stop the attacks on #NoDAPL protesters RIGHT NOW. On Sunday, Donald Trump went on Twitter again to inject another dangerous lie into our national discourse, making the ridiculous claim that he "won the popular vote if you deduct the millions of people who voted illegally." Trump's outrageous tweet was immediately condemned and denounced by voting experts, the media, and even conservatives as both a brazenly cynical attempt to undermine public perception of Hillary Clinton's national popular vote lead -- now more than 2 million votes and counting -- and a racist dog whistle attack on voting rights in advance of the 2018 and 2020 elections. The truth is that no matter who you voted for in 2016, an overwhelming majority of Americans -- 62%, according to one public poll of registered voters on November 15-16 -- think that the Electoral College system is broken and believe that the winner of the White House should be determined by National Popular Vote. According to Gallup, a majority of Americans have wanted to abolish the Electoral College every time the question has been asked, going back to 1967. Agree? Then please join Democracy for America members across the country, who are using the National Popular Vote email tool right now to contact state legislators and ask them to pass a National Popular Vote bill. Click here to send your email today. The National Popular Vote interstate compact would make every vote equal throughout the United States and ensure that every voter, in every state, will matter in every presidential election. The U.S. Constitution (Article II, Section 1) gives the states exclusive control over awarding their electoral votes. Under the National Popular Vote interstate compact, participating states would award ALL of their Electoral College votes to the candidate who receives the most popular votes nationally. The National Popular Vote interstate compact would not take effect until enacted by states possessing a majority of the electoral votes -- that is, 270 out of 538 Electoral College votes. Currently ten states and the District of Columbia have already adopted the National Popular Vote plan -- this includes both Republican and Democratic controlled legislatures. These states (and D.C.) currently represent 165 total electoral votes. If we can get states that represent 105 more electoral votes on board (for a total of 270 votes), then this plan would immediately take effect -- and we would never have a repeat of the 2000 or 2016 election again. Democracy for America has been working to support the National Popular Vote interstate compact for many years. But it's taken on a powerful new urgency as we face the nightmare of Donald Trump occupying the White House. We cannot wait any longer. A report by New York magazine revealed that "Hillary Clinton is being urged by a group of prominent computer scientists and election lawyers to call for a recount in three swing states won by Donald Trump." CNN, The Huffington Post, The Guardian and several other news outlets quickly picked up the story -- though FiveThirtyEight's Nate Silver and Nate Cohn from the New York Times expressed skepticism. What no one can dispute is that Hillary Clinton is now leading Donald Trump in the popular vote by 1.7 million votes. And once California finishes its count, her lead could exceed more than 2 million votes. Unfortunately, the popular vote is meaningless in our Electoral College system. Trump is winning the Electoral College vote thanks to very narrow leads in key swing states such as Wisconsin (27,000 votes) and Pennsylvania (68,000 votes). And two weeks after the election, Michigan is still too close to call. Voters in states like Wisconsin, Pennsylvania, and Michigan cast paper ballots that are counted by electronic machines. Fortunately, these machines can be audited to ensure that the results are reported correctly. Given the high stakes of this election -- and how incredibly close the vote is in crucial states -- it's essential that the American people have confidence the election was fairly won. That's why Democracy for America is joining the call for key swing states to audit the vote. An audit would not be a full recount, but a statistically valid sample that will prove whether the actual votes match the reported totals. If there's something wrong, we'll have evidence to take action -- before the Electoral College meets in December. Time is running out: Sign the "Audit the Vote" petition to demand swing states audit the presidential election before the results are certified and the Electoral College meets on December 19. The past 72 hours have been heartbreaking, frustrating, and infuriating for all of us here at Democracy for America. Two Black men, Alton Sterling and Philando Castile, were gunned down by police officers -- and video of their killings shocked the nation. Then, late last night, five more lives were taken when police officers who were working hand-in-hand with peaceful protest organizers in Dallas, Texas were killed by a revenge-minded shooter. I have been silent for a couple days trying to get my thoughts together, and digest everything that has happened. While police shooting unarmed black men is nothing new, every time it happens it hurts more than the last time. Each time we see the images of another body laying in the street it chips away at the little bit of progress that as a community we have made. These last two occurrences seem to hurt more, because of the devastating videos that I have watched over and over. Not because I want to, but because I can't distance myself from them. As a mother of two black boys it scares me to death knowing that no matter what I do or what I teach them it might not be enough. That every time my son steps outside I can not be sure that someone is not going to look at his skin and feel he does not deserve to walk this earth. After Senator Chris Murphy and 37 other Senators held the floor for a 15-hour filibuster on Wednesday to oppose the NRA, they forced their Republican allies to vote on common sense gun violence legislation. Unfortunately, Republicans used their majorities in the Senate to block these two bills. But Sen. Murphy's filibuster broke Republican opposition to even having a vote. It also put the NRA on the defensive for the first time in a long time. Perhaps the biggest news today came from across the street, where the Supreme Court upheld Connecticut's assault weapons ban. Passed in the wake of the 2012 Sandy Hook Elementary School mass shooting, this bill could serve as a model for similar action in Congress and in states that still don't ban assault weapons. Senate Democrats have acted, and the NRA and their Republican enablers are on the defensive. Clearly, there's been a major shift in Congress. Now progressives are uniting to urge Democrats to step up the pressure by supporting an assault weapons ban. Will you join us? Louisiana Governor John Bel Edwards is close to signing HB 953 which will classify police officers as a protected class -- making any violence against law enforcement a hate crime. Yet many communities continue to suffer from the impact of police brutality -- ripping families' lives a part. This would be the first kind of law that adds occupation as a protected class -- placing higher value on officers' lives than civilians. This law could potentially be implemented throughout the U.S.
For the last 3 years, the Black Lives Matter movement has been instrumental in calling for change in the ways communities of color are policed. From Ferguson to Baltimore, to New York City, activists and community members continue to fight against an unjust system. This bill is a deliberate slap in the face to everyone who stands up for civilians who face discrimination daily. Will you call Governor John Bel Edwards and urge him to veto HB 953? Following the Supreme Court decision to gut the Voting Rights Act, Arizona has been at the forefront of voter suppression -- disenfranchising Black and Latino communities. On Tuesday, we saw the consequences after 140 of 200 polling places were closed, forcing voters to wait in line for hours -- some for more than 5 hours. This is unacceptable. Sign our petition calling on Maricopa County Recorder Helen Purcell to resign. In addition to the thousands of pledged delegates, who are allotted to each campaign based on primary and caucus results, there are 712 superdelegates -- made up of Democratic elected officials and party insiders -- who get to vote on who the party's nominee should be at the convention. If the race is close, superdelegates could determine who the nominee will be regardless of who the majority of voters supported. Pretty undemocratic, isn't it? The race for who the Democratic nominee will be should be decided by the voters, not by a handful of party elite. Add your name now to call on all Democratic superdelegates to pledge to support the candidate who wins the popular vote. DFA stands w/ protestors confronting Trump’s bigotry. Tonight, progressive allies in Chicago stood up and confronted the campaign of bigotry, hate, and division Donald Trump has been waging all across the country. The bravery of the those who stood up tonight in Chicago stands in stark contrast to the weak and feckless Republican candidates who shared a stage with Trump last night and refused to condemn the culture of violence, bigotry, and hate he's creating with his disgusting campaign. There’s true bravery in speaking out & confronting bigotry. We stand w/ our allies confronting @realDonaldTrump's racism in Chicago tonight. Yesterday, Senate Republicans announced that they would withhold their support for any Supreme Court nominee put forward by the White House, making it even more important that President Obama select a progressive nominee who can earn broad, popular support nationwide. Since Justice Scalia's death, more than 118,000 Americans have rallied behind a Democracy for America petition calling for President Obama to choose a progressive justice to replace Scalia on the court. "Mitch McConnell's announcement yesterday makes it even more important that President Obama select a Supreme Court nominee who can quickly earn the respect, admiration, and support of the American people with their understanding that our Constitution is rooted in progressive values that clearly protect things like abortion rights and sit at odds with rulings like Citizens United. "It's time to stop pandering to Republicans, right-wing interests, and out-of-touch Democrats who just don't get where Americans and our constitution really are on the big issues that matter today. Michigan Governor Rick Snyder, along with the premeditated actions of his administrators, has effectively poisoned the children of Flint by allowing lead and other toxins to enter their drinking water. The consequences are devastating now and will be for generations to come. For this outrageous catastrophe, Gov. 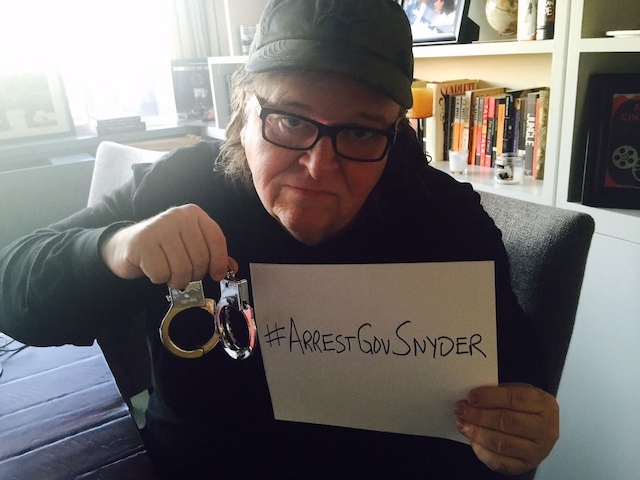 Snyder must resign -- and go to jail. To poison all the children in an historic American city is no small feat. Even international terrorist organizations haven't figured out yet how to do something on a magnitude like this. I want to be absolutely clear here: If we don't attract national attention to what Gov. Snyder did, what happened in Flint could happen in all of our communities. That's why I need your help to bring Rick Snyder to justice. Mothers and young children were ripped from their homes and taken to detention centers. Some were put on planes and sent to countries where their lives are now at risk. Rather than protect these families who face torture or death if they are deported, the federal government is embracing Donald Trump's awful anti-refugee, anti-immigrant rhetoric. This has to stop. Bernie Sanders gave a very strong, powerful statement in support of immigrant and refugee families and explaining why these raids are awful and unacceptable. In an important letter (click here to read it), Sanders urges President Obama and the heads of the Department of Homeland Security and Immigrations and Customs Enforcement to stop the raids. This is an important moral moment, and the White House needs to hear from you right now. Stand with Bernie Sanders and sign the petition urging the federal government to stop these raids -- and protect these refugee families. Over the course of the 2008 presidential primary race, the Democratic candidates debated each other 26 times. These debates drew intense media attention, gave primary voters and the public at large the opportunity to hear our candidates' positions in detail -- and led to a fantastically successful election year for Democrats. But this year, not only has the DNC limited the number of official debates to six -- they've tacked on an "exclusivity clause" that would ban any candidate who participates in a non-sanctioned forum from participating in the remainder of the debates. We cannot let the DNC continue to hurt the prospects of our eventual Democratic nominee by keeping progressive ideas out of the spotlight. Tell Debbie Wasserman Schultz and the DNC to schedule additional debates. “If reports hold true and strong Democratic opposition has prevented anti-American refugee restrictions from making it into the omnibus spending bill, it will represent a real victory for time-tested American values and the hundreds of thousands of grassroots progressives who spoke out in their defense. By: Charles Chamberlain, Executive Director, Democracy for America. The Netroots Nation presidential candidate town hall made clear that the progressive movement and the Democratic Party need to do more, right now, to support the Movement for Black Lives. I say that as someone who was in the convention hall watching as young, powerful Black women demanded that progressive leaders actively address the state of emergency that has exploded over the last year as friends, family, and neighbors have been murdered at the hands of a structurally racist criminal justice system. As the #BlackLivesMatter protest at Netroots Nation emphasized in asking the presidential candidates to #SayHerName, the arrest and death of Sandra Bland is just the latest tragic example.